Teams that play in 33 and have good upcoming fixtures. The title challengers have been put in here because they play in GW33 but also have some decent fixtures coming up. First off, Klopp’s men travel down south to the coast for a scouting session against their wholesale club, Southampton. This match could be awkward for Liverpool as they have to play a team fighting for survival, but they are fighting for the title so will not be allowed to slow down. The only problem with Liverpool is that Salah is not firing! He is trying to score and create opportunities for himself rather than just passing the ball off. Luckily, Manè has stepped up and is in some fine form for both club and country. You should have cover for this week alone anyway as they have one of the best fixtures on paper in a shortened game week. Next up is the visit of Chelsea who I will go into more detail below as to my thinking behind this match. Lastly, they have a trip to Wales to play strugglers Cardiff. Cardiff are also fighting for survival, but I don’t see that meaning much as they just don’t seem to have the firepower or players to do anything. Colin will be as miserable as ever and I don’t see him inspiring his side to a win against Liverpool. Leicester are on a good run of three wins in their last three and I can see that becoming four in four against recently relegated Huddersfield. It will be interesting to see what Terriers side shows up; will they come out fighting and playing for pride or will they just come out and go through the motions using the matches as extra training in preparation for the Championship? Either way I feel that Leicester just have too much for them and will win the game. Leicester go on to play Newcastle who have just been here this season. Never actually doing brilliantly but never bad enough to get deemed a terrible team. Leicester should beat them, but it could actually be a good attacking match with some fast-paced players coming up against each other. They also play West Ham who feature in the ‘Avoid’ section of this article, Leicester should have too much for them but there could be chances for dropped points on either side of the pitch. Leicester have a nice run in so picking up a player or two could be wise and could be a differential with others focusing on teams with something to play for. One team to keep an eye on. Brighton don’t have a game this weekend so maybe I shouldn’t have put them in here, but I created a section just for them as I think we should all keep our eyes on them. Brighton come out of the blank GW33 with two succesive DGW’s with games against Bournemouth, Cardiff, Wolves and Spurs in a two-week period. The first three of those games could profit them a hefty amount of points and being down in the midst of a relegation battle, Brighton will be looking for as many points as possible. The game against Cardiff is the key game in the run-in for Brighton as this is a literal 6 pointer. Both teams need the win so will be going all out for the victory. The main reason I say we should go for Brighton players is the abundance of games that we can hopefully take advantage of. I will personally be looking at Ryan for those save points or Duffy for his clean sheet and scoring potential. The only game I would be worried about for Brighton players is the match versus Spurs but with Pochettino’s men not being too consistent Brighton could nick something. These fixtures may look easy on paper and even the FDR ranking on the FPL site say these three games are rated a level of 2 but I would say be wary. Bournemouth are coming up against three tough teams here who all have something to fight for. Burnley, Brighton and Fulham are fighting for survival in the Prem so will be fighting tooth and nail for every last point. Brighton are the ones with the least amount of worry and have games in hand so may be less likely to be as aggressive. If you have a Cherry in your team I wouldn’t say you need to sell them, but I wouldn’t be rushing out to load up on more despite what the fixtures list says. This is a bit of a strange one I will admit, and I expect to get a few questions about it but hear me out! Chelsea have been in some up and down form in their last few games having three wins, two losses and a draw in their last six. This doesn’t really inspire confidence in me especially with their upcoming fixtures considering how the Cardiff game went. Cardiff were the better side and were absolutely robbed in the last ten or so minutes of the game. First up it’s West Ham and it should be a win for Hazard and co. but it could be anything as both teams have provided no consistency this season. Chelsea then travel to Anfield against title challengers, Liverpool, so I would not expect an easy game for them. Liverpool will be going 100% in every single one of their remaining games so Chelsea will have to up their game immensely if they are to halt the Red men. Sarri-ball is not working one bit and coming up against Liverpool who play similarly to Man City could end up embarrassing for the Blues, but I personally see it being a tight nervy affair. The main reason for my entry of Chelsea to this section is not just because of their inconsistency but also their match against Burnley. Like I have said with Bournemouth above, Burnley will be fighting for their Premier League lives so will go hell-for-leather against Chelsea. I can envision Wood overpowering Luiz to score a header and if Chelsea do go on to lose then we can all start preparing for the ‘Good-bye Sarri’ party. Two away games against two top six teams before a third away game against Spurs in GW36 makes West Ham a team to definitely avoid! 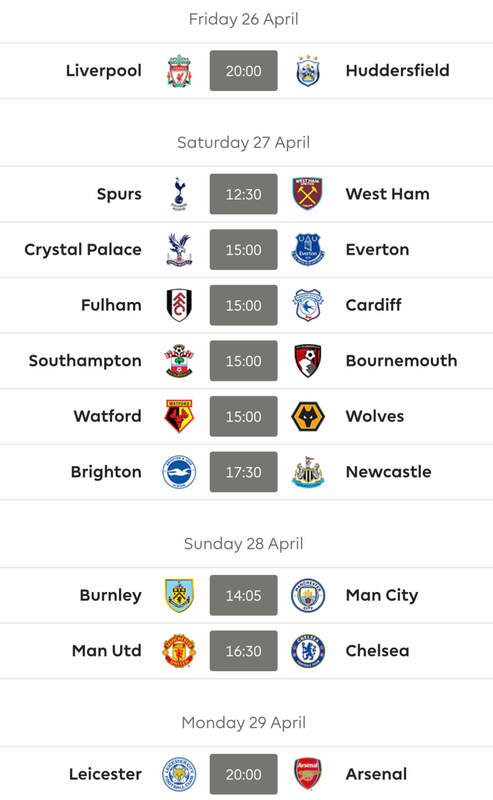 I have put Chelsea and West Ham in this ‘Avoid’ section and that is the last game in GW33 so if I am right it could end up being anything from a Chelsea hammering of the Hammers, West Ham surprising Chelsea or a drab draw which is why we love this beautiful game. After the Chelsea game, West Ham travel to Manchester to play the revitalised United in what should be another win for Ole and his men and I don’t like thinking about that so… moving on! West Ham finally get a home game in the London Stadium and it should be a loss but playing Leicester it is at the very least an opportunity for them to grab something from the game. Leicester are on a fine run with four wins and a loss in their last five games whereas West Ham are alternating a win with a loss every other week. If they continue that pattern they should beat Chelsea, lose to United and beat Leicester but I’m sure this pattern will be broken somehow. 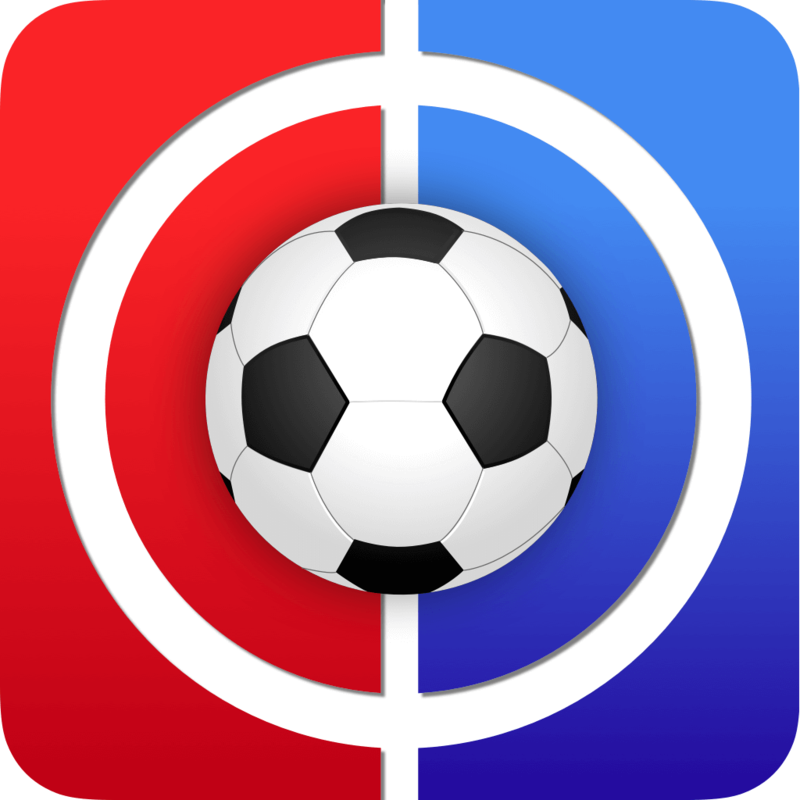 Thanks for reading Fantasy Football Fixture Analysis Gameweek 33. This article was written by Matt. Just logged on. How’s everyone’s week looking? That late own goal for us on Sundayabout ruined me, but that Smalling OG put the smile back on my face! Thanks Gavy. That’s what I thought as soon as he came off in their match. Pep completely ruled him out in his presser earlier. Thanks! Saw that after starting to read through the thread. Bit of a bummer but completely expected. At least he got some decent points before departing. We’re all cheering for Jesus now, for Cookie. So no champions league for United next season. Maybe Mourinho was a better manager afterall? I’d always hesitate and allow a couple of minutes to pass between writing and posting something like that. I’d spare some feeling for Man U fans – (past, present and for when they play Man City). There are plenty of points to be played for. Tbf, if Mourinho was still in charge then Utd wouldn’t even be challenging for top 4! I was pulling some legs. Mourinho was crap because he placed himself ahead of the team. Players really weren’t playing for him anymore. On that not. Solsjkaer has been fairly lucky so far. Can’t tell if he’s a good manager. But he deserves a chance. Definite no to the second. Just demonstrates your genius as a fantasy manager. Even your bench is good. Just the thing to unnerve to opposition. In third place Simpson rots away with 0 points on mine. He’s first on my bench And he has 2 BPs to come. It’s a crazy DGW when McTominay scores more than double the points of Pogba, despite playing half as many minutes and costing less than half as much! I’m starting to question the Pog given DGW 2’s fixtures for Man U – though a tasty tie with WHU comes annoyingly in the way, no doubt skewing my wildcard. It is hard to have any enthusiasm for Pogba in upcoming games. I have not started looking at WC possibilities but have the feeling it is going to be a huge challenge. On 73 pts with 6 to play. How are you doing Mr K? Have you figured out your WC yet? Hello Bees. Good score for you so far. Doing ok thanks – bit less than you but with 7 to play (have excluded Kun). One of the 7 is Sterling though. A lot will depend on Chelsea keeping a clean sheet tonight and some heroics by Crystal Palace. Am more confident of the former. Agree about Pog. May keep him for WHU. No WC draft yet and won’t be until Friday evening, when I activate it. Not sure if anyone has noticed, but they just gave the assist to Jimenez for the Smalling OG! I’m now on 79 with 7 to play. I’m just going to choose blind hope that Kun plays!